The first edition of this essay appeared in German in September 2006. 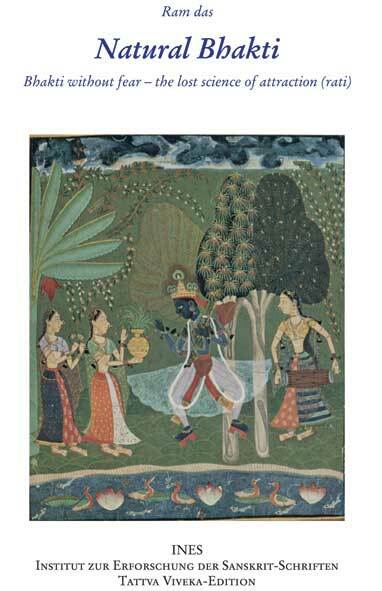 After its release, many comments by devotional practitioners were made, concerning its subject matter. Although many devotees gave very positive feedback, still some critique arose. These comments and criticisms gave rise to further investigation into the scriptures and many new findings. The main points of the critiques had been the understanding of vaidhi-bhakti and the discussion about the »four regulative principles« of A.C. Bhaktivedanta Swami Maharaja. In the following forword, these points of critique are discussed. The essay itself in the first English edition has been enhanced and slightly revised according to the comments of the devotees. The second English edition is further revised in terms of English language and grammar. Special thanks to Niscala devi dasi from Australia. Another text about the meaning of vaidhi-bhakti is available in German (»Was ist sadhana?«), an analysis and purport of the 22nd chapter of Caintanya Caritamrta Madhya-lila (Sanatana siksa) where Sri Caitanya Mahaprabhu personally explains vaidhi-bhakti-sadhana and raganuga-bhakti-sadhana to Srila Sanatana Goswami. It is posted on the website. The translation into English will follow. Bhakti is the natural function of the soul. The science of attraction is an approach to Bhakti that works with this natural function. This requires the absence of force. By forcible demands and strict rules a pressure is developed that is unfavorable for Bhakti. No pressure is necessary and the transcendental position of Bhakti means that she is not dependent on karma-kanda (pious activities), jnana and vairagya (knowledge and renounciation), but self-manifesting. Bhakti is the transcendental emotion of bhava, a feeling. Without the pressure of moral and ideological affright no fear and guilt is provoked. Then Bhakti grows in a natural and very intense way. Bhakti is completely independent. 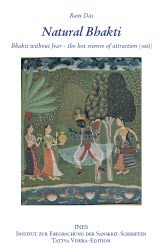 Bhakti only comes from Bhakti, as Srimad Bhagavatam states in 11.3.31: bhaktya sanjatayah bhaktya. Natural Bhakti is Bhakti beyond fear and guilt, an integral approach that is based on freedom and equal vision.